Last Tuesday evening on the second day of NYFW: Men's, the hottest ticket of the night was the Ovadia and Son's Spring/Summer 2017 fashion show. 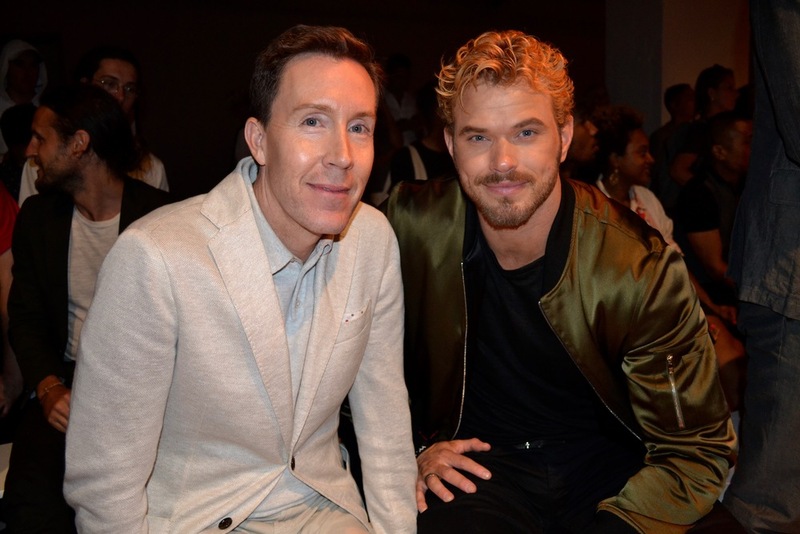 The 2012 Vogue Fashion Fund finalists host what has become one of the most anticipated shows of the New York men's shows with their street smart collections and top notch models. Notable attendees include: Colton Haynes, Jada Kiss, Kellan Lutz, Jenna Lyons, Nathan McCallum and Eric Rutherford. Congratulations on the stellar collection guys! Review to follow. Pictured(top to bottom): Colton Haynes and Jada Kiss, Eric Jennings and Kellan Lutz, Marcel Floruss and Nathan McCallum, Jenna Lyons.